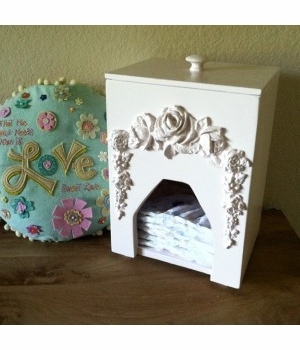 The Bella Rose diaper caddy adds vintage allure and romantic artistry to your nursery. 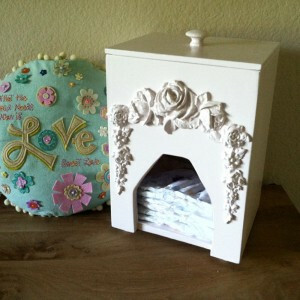 Perfect for organizing your newborn's diapers, this handy diaper caddy is made for all diaper sizes. The Bella diaper caddy makes diaper changing easy with a unique designed opening for easy access and refills simply from the top removable lid. A great gift item.